Great item. My son loved it for Father's Day. Smooth look and outstanding quality. 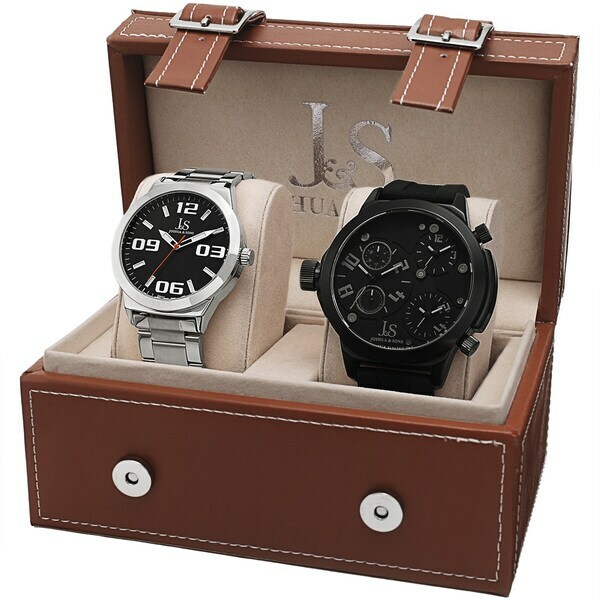 Modern and sophisticated, this Joshua and Sons watch set features a triple time zone display and retro style easy to read markers. Powered by a reliable quartz movement, the stainless steel bracelet and masculine design makes this set a keeper. both are great watches. If your looking for a large watch this does it. "How do I return it? Please be specific. My husband doesn't like it and it's too big for him"